The acclaimed Proust biographer William C. Carter portrays Proust’s amorous adventures and misadventures from adolescence through his adult years, supplying where appropriate Proust’s own sensitive, intelligent, and often disillusioned observations about love and sexuality. Proust is revealed as a man agonizingly caught between the constant fear of public exposure as a homosexual and the need to find and express love. 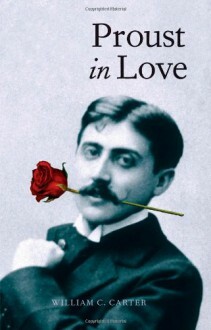 In telling the story of Proust in love, Carter also shows how the author’s experiences became major themes in his novel In Search of Lost Time.Carter discusses Proust’s adolescent sexual experiences, his disastrous brothel visit to cure homosexual inclinations, and his first great loves. He also addresses the duel Proust fought after the journalist Jean Lorrain alluded to his homosexuality in print, his flirtations with respectable women and high-class prostitutes, and his affairs with young men of the servant class. With new revelations about Proust’s love life and a gallery of photographs, the book provides an unprecedented glimpse of Proust’s gay Paris.